Tonight we are proud to have Cincy Enquirer Bengals beat writer Joe Reedy to talk about what the Bengals plan for the draft and 2012 season. We then begin our expert Mock draft including the picks of our local analysts for each of the teams and live picks by Bucs feature writer for the Bleacher Report Tom Edrington, Rams pre-game show host Issac Byrd, Jason Clary Knightcast analyst for the Dolphins, and Eric Frenz, AFC East feature writer for the Jets. 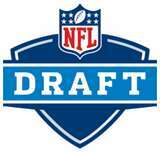 We then will be joined by Bob Karlovec to analyze the mock draft.